Tug Hill Core Forest by Robert McNamara. Tug Hill Tomorrow Land Trust told the New York State Public Service Commission that it is concerned a major industrial wind energy facility proposed for the center of the Tug Hill region will harm the region’s forests, wildlife, water quality in the Salmon River, hunting and fishing opportunities, economy and the future of Fort Drum. 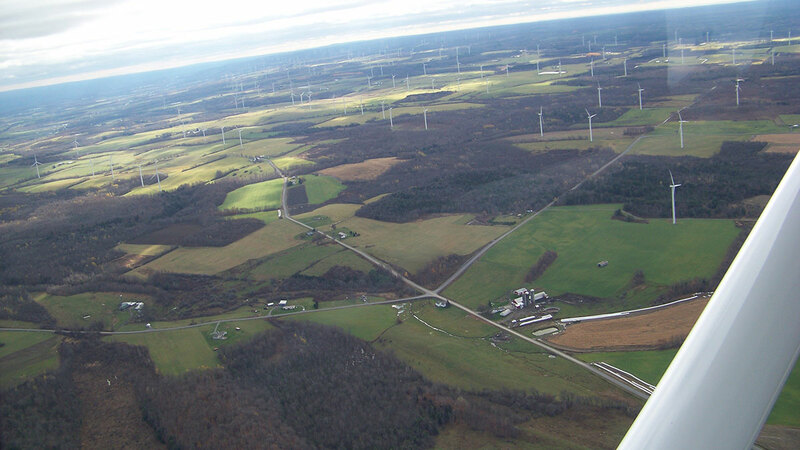 The Land Trust’s concerns focus on the proposed Mad River industrial wind energy facility that is proposed for the Tug Hill core forest in the towns of Worth and Redfield, east of Sandy Creek and Pulaski, New York. “We support wind and other renewable energy that can reduce our dependence on fossil fuels and help protect our environment, but that does not mean that every location is right for wind energy facilities, especially large industrial facilities like those proposed by Atlantic Wind LLC in the Tug Hill core forest,” said Land Trust Executive Director Linda Garrett from the organization’s headquarters in Watertown. Why is the Core Forest special? Tug Hill’s core forest covers about 175,000 acres in the middle of the Tug Hill region, known to locals, hunters and anglers as the “Big Woods” or “Lesser Wilderness.” The area is the size of about 3 or 4 upstate towns, and is characterized by few paved public roads and a wild feel that to many is the essence of Tug Hill and what many local people and visitors value most about the Tug Hill region. 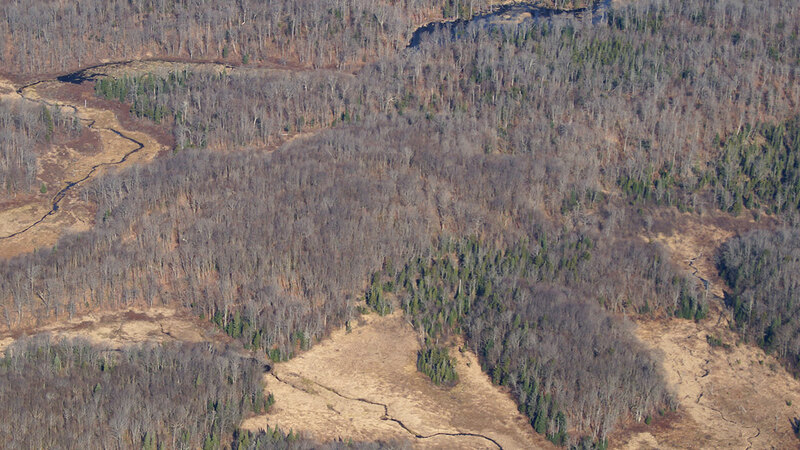 Efforts to protect the Tug Hill core forest started almost 50 years ago when the New York State Tug Hill Commission was created in part in response to local concerns about the core forest getting broken up and developed, losing its wild character and perhaps jeopardizing hunting, snowmobiling and jobs in logging. 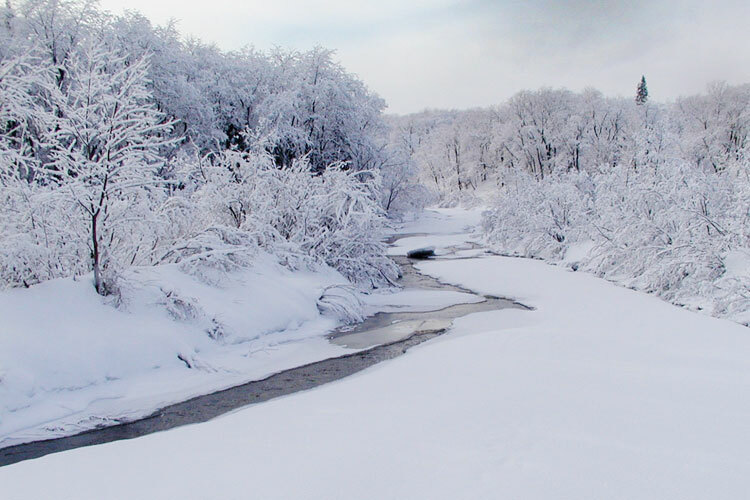 About 25 years ago, towns of the core forest, through their Cooperative Tug Hill Council, worked with sportsmen’s groups, snowmobilers and environmental organizations to protect the core forest. Today, nearly half the core forest is protected through State forest lands, State-held conservation easement, county forest land ownership, the largest conservation area in New York State owned by The Nature Conservancy, and conservation easements held by Tug Hill Tomorrow Land Trust. 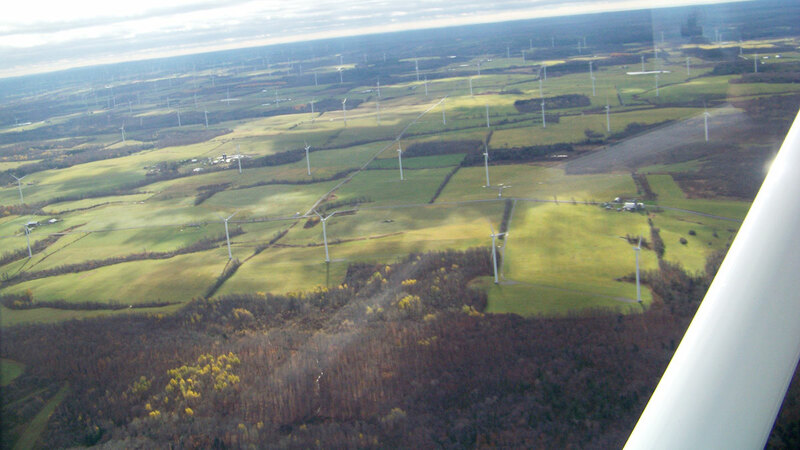 The Land Trust cites recent work at the State University of New York College of Environmental Science and Forestry in Syracuse that industrial wind energy facilities, especially facilities of the scale proposed at Mad River, in forested areas is a relatively new practice, and as a result that we know little of the immediate or long term impacts of such development. “If the Mad River project is ultimately approved, it will have to be carefully monitored throughout its lifetime to learn more about impacts on forests,” said Garrett. 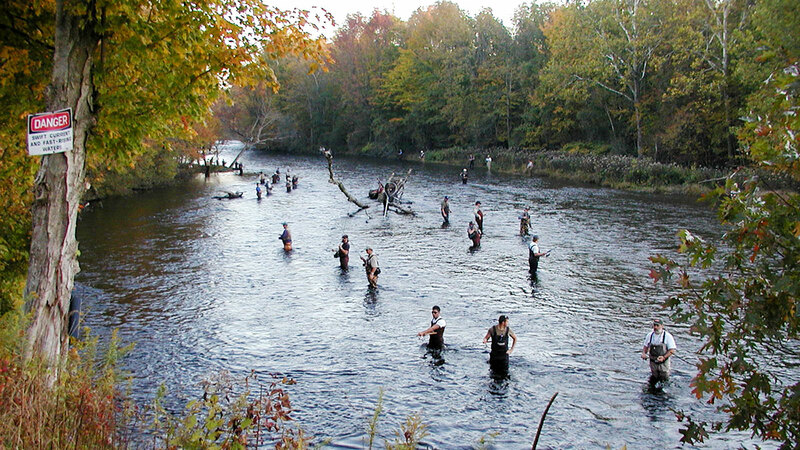 The Land Trust also has concerns over potential water quality impacts of the project, especially since it is in the headwaters of Salmon River, one of the nation’s premier sport fishing rivers, and an essential part of the economy. The proposed wind facility project is also close to the Tug Hill aquifer, a groundwater resource vital to homes and businesses in the region. While the Land Trust’s focus is on the Mad River proposal, it also has concerns about the number of industrial wind facilities proposed for the portion of Tug Hill close to Fort Drum. “No one seems to be looking at cumulative impacts of the wind facilities proposed on wildlife, the National Weather Service’s advanced forecasting radar in Montague, NY, and impacts on Fort Drum, a top military training facility in eastern U.S.,” said Garrett. Tug Hill Tomorrow Land Trust works with the Army, Ducks Unlimited, and New York State to limit development on farm and forest lands near Fort Drum, so as to minimize conflicts between essential training operations at the Fort and residents who live near the base and its airfield and bombing ranges. “We can’t take chances with limiting training options at Fort Drum. That could jeopardize the future of the Fort, its more than $1 billion contribution to the economy every year, and our national defense,” commented Garrett. “By participating in New York State’s review of the proposed wind facility we hope to see mitigation of all or many of the potential negative impacts, and to provide a means of eventually keeping this 20,000 acres of Tug Hill core forest undeveloped,” said Garrett. For more information review this website or call 315-779-8240.